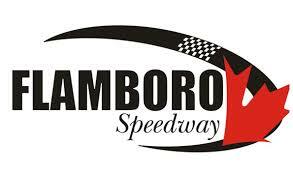 Three races this past weekend equaled three victories for Kyle Neumeister as he won at Delaware Speedway on Friday night, Sunset Speedway on Saturday, and Flamboro Speedway on Sunday. Neumeister set the quickest time in qualifying at 19.150 seconds ahead of Rodney Rutherford (19.427), Phil Givens (19.732), Jeff Miller (19.810), and Dale Lucas (19.891). Neumeister would roll a nine for the invert, though, handing the pole to Ryan Hillar. Hillar would lead the field to green ahead of Jordan Morris, Gillian Hills, Lucas, Miller, Givens, Rutherford, Neumeister, Jared Bodner, Wayde Thorne, Travis Hofstetter, Leo Labarbera, Dylan Sharpe, Mark Dennis, Steve DeLeeuw, Matt Young, Michael Neumeister, Andrew Castelein, Michael Kenny, Julie Saunders, Kris Lawrence, Chad Corcoran, Clinton Kerkhof, Lane Zardo, and Courtney Scott. Morris would grab the early lead off the green flag ahead of Lucas, Hillar, Miller, and Givens, with Hills and Rutherford side-by-side for sixth. Miller would get alongside Hillar for third at Lap 3, completing the pass a lap later, bringing Givens, Kyle Neumeister and Rutherford through with him. Neumeister would then get alongside Givens for fourth at Lap 6, completing the pass, and getting alongside Miller for third a lap later. He would then complete the pass, moving into third on Lap 8 as the caution came out for debris. With 41 laps to go, Morris led Lucas, Neumeister, Miller, Givens, Hillar, Thorne, Lawrence, Bodner, Hills, Hofstetter, Sharpe, Labarbera, Corcoran, and Zardo. The restart saw a battle for the lead between Morris and Neumeister, with Neumeister taking the top spot on Lap 10. Behind them, Miller and Rutherford battled for third ahead of Lucas, Givens, and Lawrence. Miller took the spot on Lap 12 ahead of Rutherford, with Lucas running fifth ahead of Givens, Lawrence, Thorne, Bodner, Hills, and Sharpe. Lawrence continued to move forward, getting alongside Givens for sixth at Lap 15, as Rutherford got back alongside Miller for third a lap later. Rutherford took the third spot on Lap 17 ahead of Miller, Givens, Lawrence, Lucas, and Thorne. Lawrence would try once again to pass Givens on Lap 19, but was unable to complete the pass. Givens holding him off allowed him to catch Miller, getting alongside him for fourth at Lap 23, as Lawrence ran sixth ahead of Lucas, Thorne, and Bodner still. The attempt by Givens was successful, as he’d move into the fourth spot at the halfway mark of the feature. As Neumeister continued to lead, putting cars down a lap in the process, Rutherford would move into the runner-up spot at Lap 27 ahead of Morris, Givens, Lawrence, and Miller. Lucas continued to run seventh ahead of Thorne, Bodner, Hills, Young, and Kerkhof. Kerkhof continued to move forward, passing Young for 11th. Behind them, Corcoran ran 13th ahead of Sharpe, Labarbera, Zardo, and Hillar. There were battles all around the speedway, with Givens getting alongside Morris for third at Lap 35, completing the pass two laps later. Thorne was then able to get by Lucas for seventh with five laps to go. While the focus was on watching Neumeister take the checkered flag, the battle for sixth did not go smoothly. Catching the slower car of Dennis, Morris slowed more than expected, which in return saw Thorne bump into the back of him. The bump would be enough to push Morris forward, causing him to make contact with Dennis, spinning Dennis around, who backed into the turn one wall and caught air in the process. Thankfully, Dennis was able to climb from his car uninjured. Kyle Neumeister picked up the win ahead of Rodney Rutherford, Phil Givens, Jordan Morris, and Kris Lawrence. Jeff Miller finished sixth, followed by Wayde Thorne, Dale Lucas, Jared Bodner, and Gillian Hills. Dylan Sharpe finished 11th, followed by Leo Labarbera, Ryan Hillar, Lane Zardo, Travis Hofstetter, Andrew Castelein, Matt Young, Mark Dennis, Michael Neumeister, Steve DeLeeuw, Julie Saunders, Michael Kenny, Clinton Kerkhof, Chad Corcoran, and Courtney Scott.